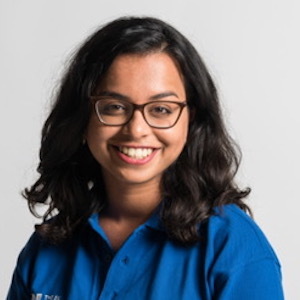 Alisha Lobo is a sabbatical officer at the University of Bath. Alisha oversees the #NeverOK campaign for the students’ union, minority groups, international students and local city relations. Alisha has been involved in the #NeverOK campaign, which aims to change the culture of sexual harassment at the University of Bath, since its launch in 2017. She delivers bystander training to student leaders and has been involved in the campaign’s widening scope for the upcoming year. Alisha completed her dissertation on UK campus sexual-assault prevention policy and campaigns and finished her degree in politics and international relations this summer.